For the first time in Ireland, business owners and marketing mavens can tap into the remarkable expertise of Madalyn Sklar, the serial entrepreneur and leading U.S. Twitter expert, who has more than 22 years digital marketing experience. With Twitter Chat forums clocking up over 6 billion impressions, Madalyn Sklar is hailed as the International Twitter Queen and has been named one of 50 Women Entrepreneurs to follow by Huffington Post. 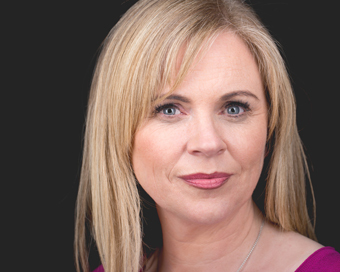 The renowned social media marketer is addressing the Women’s Inspire Network (WIN) Spring Seminar in Donegal on Wednesday, 10 April next, at the invitation of Ireland’s own Tweeting Goddess and WIN founder, Samantha Kelly. ‘Overcoming Challenges’ is the theme for the full-day seminar which takes place in Harvey’s Point in Donegal, recently named #1 hotel in Ireland in the TripAdvisor Travellers Choice Awards 2019. Samantha Kelly says the WIN seminar promises an energising day of expert speakers and interactive sessions for the online business group which connects and empowers female-led businesses. “Delegates will learn about business development, marketing and brand-building, through a combination of speakers and practical workshops on topics such as social media, sales, time management and digital marketing”. Deirdre McGlone from Harvey’s Point says it will be a pleasure and a source of pride to welcome the Women’s Inspire Network delegates to Harvey’s Point in April. “We are very grateful to Samantha Kelly for her vision in bringing such a prestigious event to Donegal, and look forward to an inspirational day of networking, learning, fun and friendship for the local, national and international delegates”, the Donegal businesswoman said.